Retiring early doesn't come cheap. If you’re like many Americans, you might not know how much you actually need for retirement — let alone how much to save to retire early. But knowing the amount of money you need to live in comfort after you part ways with your 9-to-5 is vital. After all, you don’t want to discover one day that your retirement nest egg isn’t going to stretch as far as you expected. 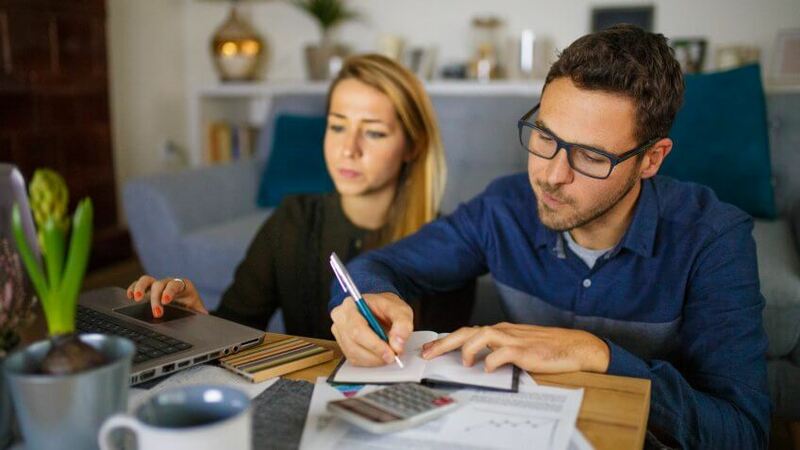 To find how much you need to save in every state for early retirement, GOBankingRates conducted a study that found the annual expenses for people retiring at ages 35, 45 and 55, adjusted for each state’s cost of living. Keep reading to find out how much a year of retirement will cost you in your state. Annual expenditures for people living in Alabama vary between early-retirement age levels. At age 35, people spend $61,854 annually, whereas at 45, they spend more, at over $66,000 per year. At age 55, however, annual expenses dip to $58,215. Due to its lower cost-of-living expenses, Alabama ranks in the top 10 for cheapest states to live in America, according to a separate GOBankingRates study. Although there’s no personal income tax or sales tax in Alaska, people pay more for groceries there than in all but one other state. Average annual expenditures in the state total approximately $90,000 at age 35, rise to $96,446 at age 45 and dip to $84,788 at age 55. Overall, Arizona’s cost-of-living expenses rank in the middle of the nation. However, the cost of utilities in the state rank among the 10 highest in the country. The lowest costs within the state are health and miscellaneous costs. Average annual expenditures total $67,584 at age 35, $72,353 at age 45 and $63,608 at age 55. Arkansas has the lowest health costs across the nation and ranks in the top three states that have the lowest cost-of-living expenses overall, which makes it a good pick for retirees. At age 35, annual expenditures equal slightly over $61,000. At ages 45 and 55, those expenses total $65,406 and $57,500, respectively. California ranks in the top three states for highest cost of living, with housing as the biggest expense within the state. On average, California residents spend $94,715 per year at age 35, $101,398 at age 45 and $89,142 at age 55. If you’re planning to retire here, you’ll need a sizable nest egg. Although Colorado has a lower cost of living than California, its costs rank higher than 35 other U.S. states. For example, average yearly expenditures for Coloradans who are 35 total $74,073 per year, whereas people who are 45 spend almost $80,000 per year. Those who are 55 have lesser average expenses; however, they still total almost $70,000 per year. Connecticut ranks in the top five most expensive states for cost-of-living expenses, which can cause retirement funds to dwindle much more quickly. A 35-year-old Connecticut resident spends an average of $91,815 per year, whereas a 45-year-old resident spends approximately $98,000 annually. Average expenses drop down to $86,413 for people who are 55. In Delaware, residents can expect to pay the most for groceries, relatively, and the least for housing expenses. Delaware residents who are 35 spend an average of $72,279 yearly, whereas residents who are 45 and 55 spend $77,379 and $68,026, respectively. On the plus side, Delaware is one of the least-taxed states, according to a separate GOBankingRates study. Florida’s cost of living is higher than all of the states nearby, including Mississippi, Alabama and Georgia, but it’s not nearly the most expensive place to live on the list. At age 35, average expenditures in the state are around $68,000, whereas at ages 45 and 55, average expenses total $73,240 and $64,387, respectively. The average expenditures in Georgia are $63,235 for a 35-year-old resident and $67,697 for a 45-year-old. Although average expenses for a 55-year-old resident in the Peach State total $59,514, you might be able to live much more cheaply. Depending on your budget, you could probably get away with spending only $41,546 per year, according to a separate GOBankingRates study, especially with the state’s relatively low tax burden. Hawaii has the highest cost of living among all U.S. states, mainly due to its exorbitant grocery, housing, transportation and utility costs. It’s also ranked by GOBankingRates as one of the top two states where people are most likely to live paycheck to paycheck. Average yearly expenses in the Aloha State for a 35-year-old resident total $130,405. For 45-year-olds, that number rises to $139,607 and then falls to $122,732 for 55-year-olds. Idaho is in the top 20 states with the lowest cost of living. Housing and utilities rank as the lowest costs within the state. Yearly living expenses total, on average, approximately $65,000, $69,000 and $61,000 for residents ages 35, 45 and 55, respectively. At age 35, the average yearly expenses for Illinois residents total $66,066. By age 45, those expenses jump to $70,727 and then dip to $62,178 at age 55. Illinois’ cost of living is very similar to that of Wisconsin in most aspects. The only major difference is Wisconsin’s high healthcare costs in comparison to those in Illinois. Indiana ranks in the top 10 states for lowest cost of living, with housing costs as the lowest expense in the state. At ages 35, 45 and 55, average annual expenses total $62,131, $66,515 and $58,475, respectively. Iowa also ranks in the top 20 states with the lowest cost-of-living expenses, and just like Indiana, housing is the lowest related expense in the state. At age 35, average expenses are $63,166, whereas at ages 45 and 55, expenses are $67,623 and $59,449, respectively. If you plan on retiring at age 35 in Kansas, you can expect annual expenses of $62,062. At 45, the expenses will be more: $66,441 per year. At 55, however, expenses will drop to $58,410 annually. Housing costs in the state are some of the lowest in the nation. In Kentucky, the largest cost-of-living expenses include transportation, whereas the most affordable relate to housing. At age 35, average yearly expenses total $65,582; at age 45, they jump to $70,210; and at age 55, expenses drop down to $61,723. Lexington is one of the best places in the U.S. to retire, partly due to its size and amenities. In the Pelican State, your annual expenses will hover around $64,271 at age 35, $68,806 at age 45 and $60,489 at age 55. To get an idea of where your money will go, the cheapest cost-of-living expenses in the state are utilities and housing, whereas the most expensive are groceries and transportation. The annual expenses for a 35-, 45- and 55-year-old in Maine are $80,010, $85,656 and $75,303, respectively. But Maine has some of the highest cost-of-living expenses out of all of the U.S. states, especially for those related to housing and health. Maryland’s overall cost of living isn’t quite as expensive as California’s, but its housing costs are on par with California’s. If you plan to retire in this state, you’ll need pretty deep pockets. At age 35, you’ll need an average of $89,261 for annual expenses. At age 45, you’ll need around $95,559. The amount drops at age 55, but you’ll still need an average of $84,009 for yearly expenditures. In Massachusetts, at ages 35, 45 and 55, you’ll need $89,192, $95,485 and $83,944, respectively, for annual expenses. Housing costs aren’t quite as expensive as they are in Maryland, but the state makes up for it with its high grocery, utility, transportation and health costs. Michigan ranks in the top 10 states for lowest overall cost-of-living expenses, and grocery costs in the state are the lowest across the nation. At ages 35, 45 and 55 you’ll need $62,269, $66,662 and $58,605, respectively, for annual living expenditures. Housing and utilities are the lowest cost-of-living expenses in Minnesota, whereas health and miscellaneous costs are the most expensive in the state. At age 35, annual expenses will average $71,243, rise to $76,270 at age 45 and dip down to $67,051 at age 55. Mississippi boasts the lowest overall cost-of-living expenses across the U.S., so if you’re concerned about whether your retirement nest egg can go the distance, you might want to consider relocating here. At age 35, your average living expenses will be $59,645. At ages 45 and 55, your expenses will be $63,854 and $56,136, respectively. Missouri is in the top five states that offer the lowest cost of living. Within the state, housing expenses are some of the lowest, whereas utility costs are among the highest. At ages 35, 45 and 55, a Missouri resident will need $61,164, $65,480 and $57,565, respectively, to meet annual expenses. The utility costs in Montana are the lowest among all of the 50 states. Plus, according to a separate GOBankingRates study, the property taxes there are also among the lowest in the nation. At ages 35 and 45, you’ll need $73,107 and $78,265, respectively, for average annual expenses. At age 55, however, average expenses will be less, totaling $68,805. If you’re in the Cornhusker State, you’ll need $65,444 for annual expenditures at age 35, a little over $70,000 at age 45 and $61,593 at age 55. Health expenses are one of the top costs, whereas the lowest expense in the state is housing. In Nevada, housing and transportation costs are the highest cost-of-living expenses, whereas utility costs rank as the lowest. Average annual expenses at 35 years old are approximately $75,000. At ages 45 and 55, average yearly costs total $80,409 and $70,690, respectively. New Hampshire has one of the highest utility costs in the nation, ranking in the top 10 of all U.S. states. If you retire at 35 in the Granite State, you can expect $73,590 per year in annual expenses, whereas if you retire at 45, you can expect expenses totaling a higher amount at $78,783. Retiring at 55 will reduce average annual expenses to $69,260. New Jersey ranks in the top 10 U.S. states for the overall most expensive cost of living. Within the state, residents pay the most for housing and the least for groceries. A 35-year-old can expect average annual expenses of $84,429, whereas a 45-year-old can expect expenses of just over $90,000. Waiting until 55 to retire will drop average annual expenses to just under $80,000. In New Mexico, housing expenses and utilities are the most affordable, whereas costs for groceries and health are the least affordable. New Mexico is also one of the states that have the lightest tax burden, according to another GOBankingRates study. People retiring at age 35 can expect average annual expenses of just over $63,000. People retiring at 45 and 55 can expect average yearly expenses of $67,623 and $59,449, respectively. New York’s overall cost-of-living expenses are almost as high as California’s, with housing expenses taking the biggest bite out of retirees’ budgets. If you’re planning to retire here, you might want to double up on your retirement savings goals. At age 35, average annual expenses in the state equal $92,506. At age 45, expenses top $99,000, and at 55, average yearly expenditures reach just over $87,000. North Carolina makes it into the top 20 states that have the lowest overall cost-of-living expense. Within the state, housing is the most affordable expense and health is the least affordable. Expected average annual expenses are $65,237 at age 35, $69,840 at 45, and $61,399 at 55. You can expect average annual expenses of $68,758 if you retire by 35 in North Dakota. Those expenses jump to $73,609 for someone who is 45 years old and drop down to $64,712 for 55-year-olds. The highest cost-of-living expense you’ll encounter in this state is healthcare followed by groceries. Ohio’s housing costs are some of the lowest in the nation, but transportation costs there exceed those found in many of the other U.S. states. When retiring at ages 35, 45 and 55, you can expect average annual expenses of $64,202, $68,732 and $60,424, respectively. If you plan on living in Oklahoma, you can expect average yearly expenses of just over $60,000 at age 35, $64,371 at age 45, and $56,591 at age 55. Plus, Oklahoma City is a city with high salaries and low costs of living, where you can live comfortably for less than $50,000 per year, according to a different GOBankingRates study. Just like Hawaii, California and New York, Oregon is in the top 10 states that have the highest costs of living. When retiring in the Beaver State, average annual expenses will run you close to $90,000 at age 35, $95,633 at age 45, and just over $84,000 at 55. Unless you have a sizable retirement nest egg, it could be hard to retire without sacrificing the things you love. Pennsylvania ranks at about the middle of all the states for overall cost-of-living expenses. Within the state, utilities and transportation costs are the highest, and housing and healthcare expenses are the lowest. When retiring at age 35 in Pennsylvania, you’ll incur average annual expenses of almost $68,000. At age 45, average expenses will be $72,723, and at age 55, they’ll be $63,932. Housing and utilities are the highest annual expenditures in Rhode Island, whereas transportation is the lowest. When retiring early at ages 35, 45 or 55, you can expect average yearly expenses of $83,393, $89,277 and $78,486, respectively. South Carolina’s costs of living are more expensive than North Carolina’s in all areas except transportation and health. When retiring at age 35 in this state, you can expect average yearly expenses of $67,515. At ages 45 and 55, average annual expenses will be $72,279 and $65,543, respectively. When you compare South Dakota to its sister state, housing and utilities are the only costs that are more expensive. South Dakota also has the lowest miscellaneous costs out of every other U.S. state. You can expect annual expenses of $67,653 at age 35, $72,427 at 45, and $63,673 at 55. If you retire early in Tennessee, you can expect average yearly expenses of $61,716 at age 35, $66,071 at age 45, and just over $58,000 at age 55. Plus, both Chattanooga, Tenn., and Knoxville, Tenn., are among the 50 cheapest places to retire, according to a separate GOBankingRates study. Texas just barely missed the top 10 for lowest costs of living among U.S. states. The state’s lowest costs are groceries and housing, whereas the highest costs are utilities and healthcare. If you retire early at ages 35, 45 or 55 in the Lone Star State, average annual expenses will total $63,097, $67,549 and $59,384, respectively. Groceries and transportation are the highest costs of living in Utah. For people who retire early at age 35, average yearly expenses will run around $69,000. At age 45, those expenses will rise to almost $74,000, and drop to $64,972 at age 55. Vermont’s lowest cost-of-living expense is healthcare, and its highest is housing. Although this state’s cost of living isn’t quite as steep as some of the others, you still need to nurture your retirement nest egg. If you decide to take early retirement at 35, you can expect average annual expenses of almost $81,000. At 45, those expenses will rise to $86,617 but then drop at age 55 to just over $76,000. Virginia’s highest cost-of-living expense is housing, whereas its lowest is transportation. Expect average annual expenses of around $70,000 when retiring early at age 35, expenses of $74,718 when retiring at 45, and expenses of $65,687 when retiring at age 55. Housing and healthcare rank as the highest cost-of-living expenses in Washington, whereas utility costs rank the lowest. If you plan on retiring early at age 35 in this state, expect average yearly expenses totaling $75,454. At 45, those expenses will rise to $80,778, and they’ll drop back down at age 55 to just over $71,000. West Virginia has much lower costs of living overall than its sister state, Virginia. If you choose to retire early at age 35, 45 or 55, you can expect average yearly expenses of $63,856, $68,362 and $60,099, respectively. If retiring in Wisconsin is your dream, you might want to consider Milwaukee. A separate GOBankingRates study found that the cost of living there is 16 percent below the national average. If you retire early at ages 35 or 45, you can expect average annual expenses of $66,825 and $71,540, respectively. If you wait until age 55 to retire, average annual expenses will drop to just under $63,000. Wyoming ranks in the top five states that have the lowest overall cost-of-living expenses. Plus, it has the lowest transportation costs of all of the states. To retire early in the Cowboy State at age 35, you’ll need an average of $61,509 annually. If you choose to retire at age 45, you’ll need around $66,000, and at age 55, you’ll need only about $58,000 a year to cover expenses. Click through to see why $1 million might not be enough for your retirement dreams. Methodology: GOBankingRates found the annual cost of expenditures for a person at each early-retirement age level: 35, 45 and 55 years old, which were, respectively, $69,034, $73,905 and $64,972. To account for differences in state cost of living, the retiree expenditures from the Bureau of Labor Statistics’ 2017 Consumer Expenditure Survey were multiplied by the cost of living index for each state, sourced from the Missouri Economic Research and Information Center’s third quarter 2018 cost of living index. To find how much money a retired person would need to save, GOBankingRates divided each state’s annual expenditures by .04, assuming drawing down savings by 4 percent each year to pay for living expenses. Making these common retirement planning mistakes will cost you.